RATED 450 WATTS; MAX. 500 WATTS; RECOIL START?Even our recoil-start generators come with features you won't find on other generators in their class! POWERHOUSE inverter generators provide clean, quiet portable power; perfect for the campground yet powerful enough for the job site. Inverter generators deliver stable, pure sine wave AC output, reliable enough to power even the most sensitive electronic equipment. A high-efficiency combustion system produces exceptionally low emissions making these generators environmentally friendly. 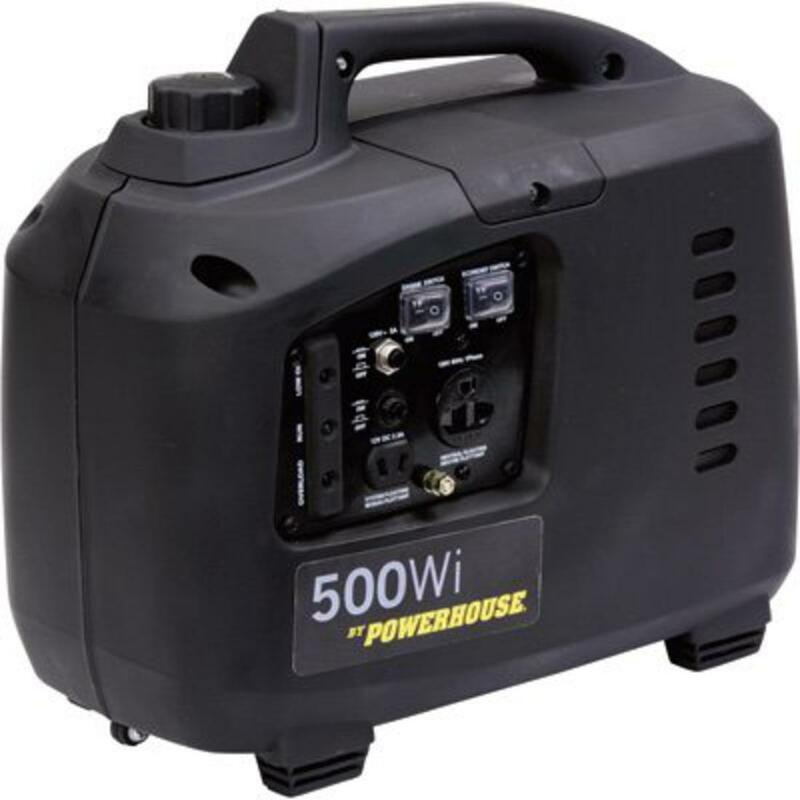 POWERHOUSE generators are lightweight, designed for portability. The convenient carry handle makes them easy to take along whereever you need portable power. Low noise great for campground use. Inverter equipped for safe use with electronic equipment. Carry handle for easy transport. Variable plus constant speeds for economy or 100% full power. Accessories included oil jug, 12 V charge cable, spare spark plug, spark plug wrench & handle, manual, oil drain extension. 14.1" x 8.2" x 12.6"
Do you need these accessories also?? ?